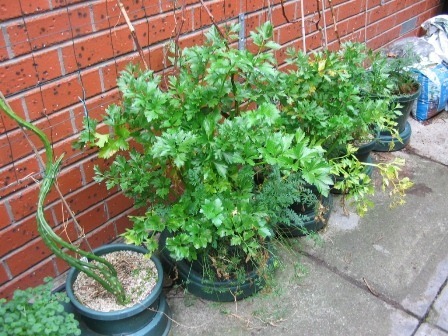 Here’s a picture update of the garden’s progress in mid to late September 2011, the beginnings of spring in Melbourne, Australia. Blackthorn or sloe (Prunus spinosa), a member of the plum family, in flower. 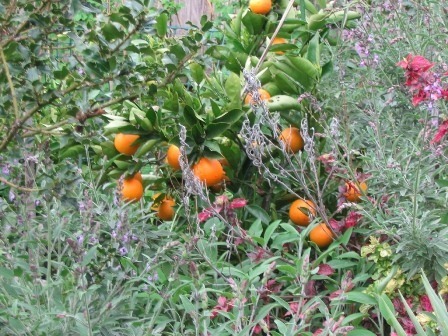 Mandarins ripe and ready for picking! 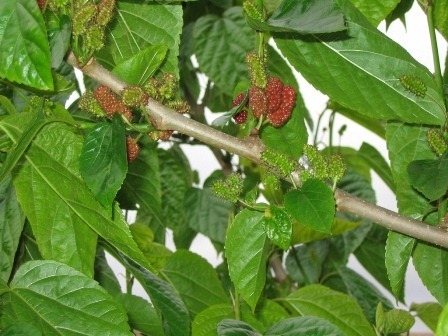 Black mulberry tree (Morus nigra) in full leaf at this time and beginning to grow its mulberries. 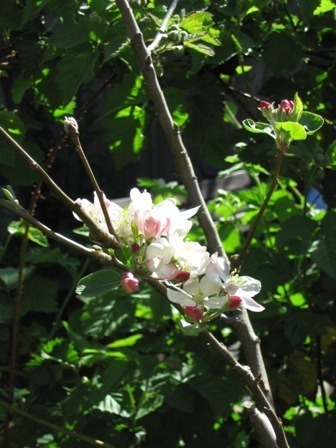 Apple blossoms with their distinctive white and pink colour promise lots of apples later in the season! 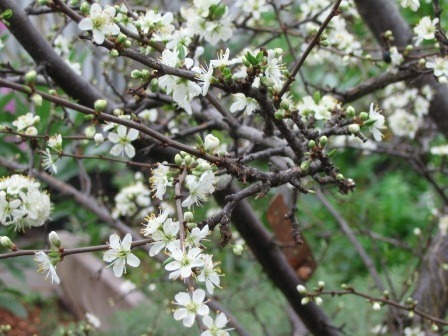 A Cherry tree in flower – this variety is a Starkrimson, it’s a self fertile cherry.you only need one tree (you normally need two cherry trees, they require a pollinator). This one is also on a dwarfing rootstock. 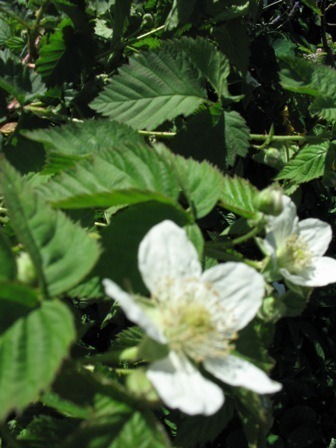 It only grows to 4m (12’) high, which is smaller for a cherry tree – cherry trees normally grow very large! Sultana grapevine leaves are beginning to emerge. I make extensive use of trellises (I have six in this garden! ), extend the growing space in a garden by creating usable vertical space, allowing even more productivity from a small area. 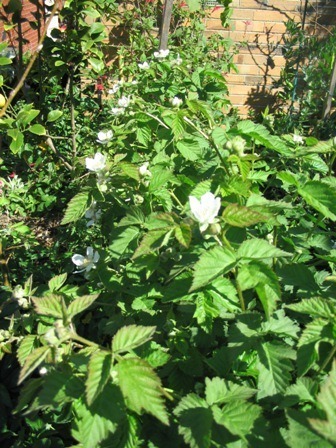 This trellis is completely covered by three Youngberry plants, which were grown from cuttings. The prolific plant growth masks the man-made structure, creating a more visually harmonious and highly productive vertical gardening space. Incidentally, the Youngberry flowers are absolutely huge, and look stunning! They have been attracting a lot of bees, which are kept very busy visiting the rows of fragrant white flowers. The Broad Beans are also offering their flowers to the bees too. 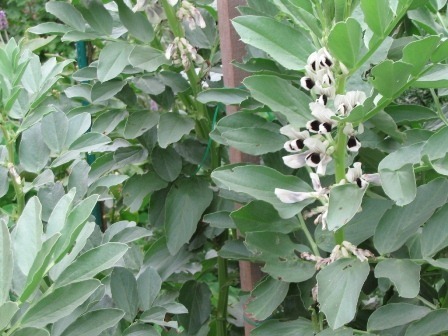 They are very productive and easy to grow, just sow the beans directly into the soil. New life from old – the many cuttings from the trees pruned in winter are simply stuck in a large pot of coconut coir, 1/3 above, 2/3 below the surface, or with 2-3 buds above the surface, and left in a partly shady spot that gets morning sun. Several have sprouted leaves, and will soon grow roots, to become new plants. There are figs, pomegranates, mulberries and plums in this pot. 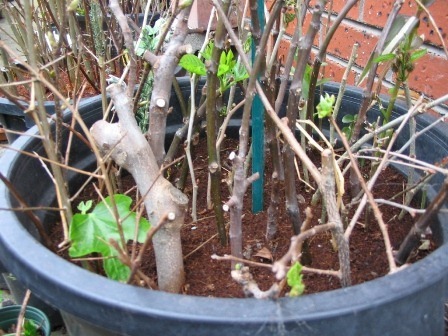 An easy way to create new plants from dormant winter prunings. 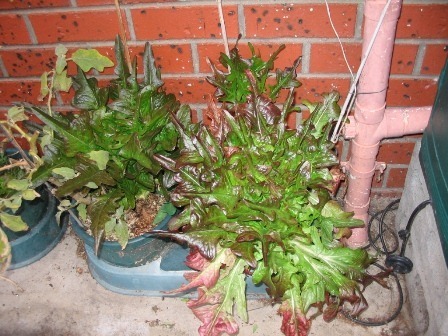 Hydroponic oak-leaf lettuce ready to harvest, this is a bit of an experiment I’ve been running for a comparison against the completely organic main garden. 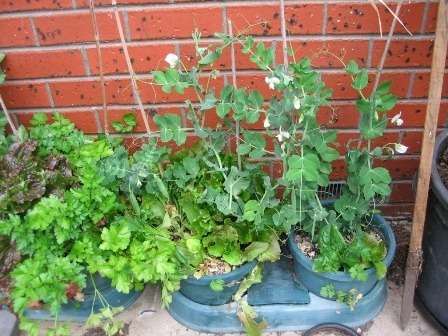 Hydroponic celery and peas too. More grape vines putting out their first leaves. And this is where they are growing from, no garden bed against this scorching hot west facing wall, they’re hydroponic too! I’ll find out how well they fare this summer as I attempt to use them to create a living screen to keep the house cool. Early spring is just the beginning, it only gets better from here!